An interesting sketch from the archives. 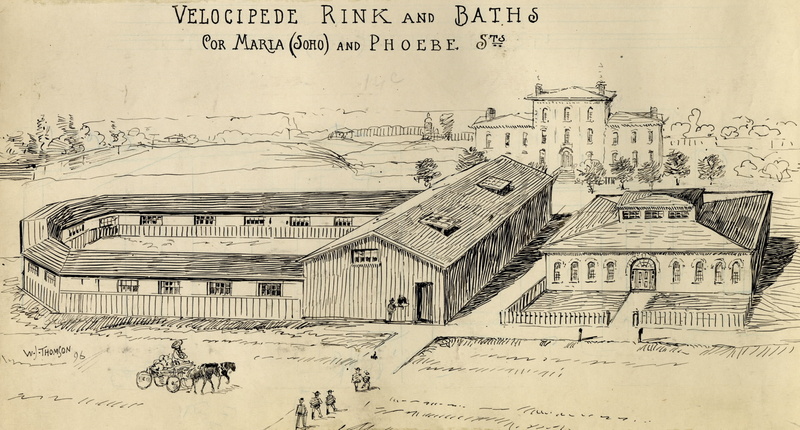 The Velocipede Rink and baths at the corner of Phoebe and Soho (Toronto) circa 1869. Velocipede is an early term for a bicycle. 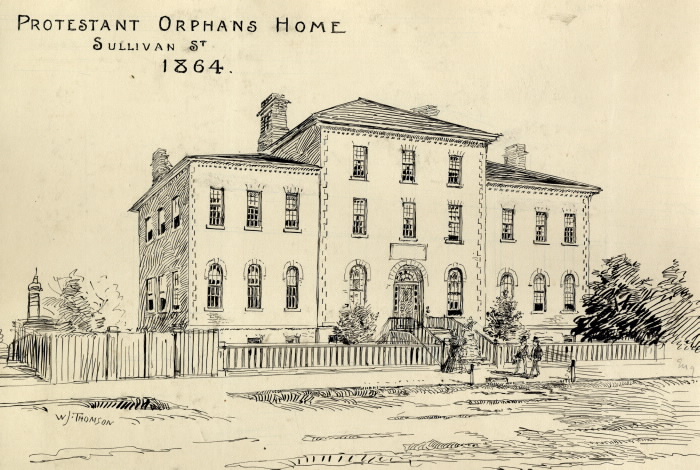 The building in the background would appear to be the Protestant Orphanage on Sullivan Street. Currently available on Kijiji Toronto @ $1,500.00. Includes the original tool pouch with tools! Purchased in Hamilton for $50.00, this Japanese 5 speed was given a quick paint job by Adam Kubiw and a recycled set of drop bars. Josh Heisie is the current owner.